Adobe hosts an excellent ColdFusion conference annually in Las Vegas. It’s a can’t miss event for the CF community featuring deep dive sessions into many aspects of the platform. It’s a great opportunity to meet the ColdFusion team from Adobe, sharpen your skills, and maybe get some sun in the process. Attendance has been strong, and early bird registration is now open for the 2017 event. But for East Coasters like us it’s quite a journey. Don’t forget movies for the plane and saline for the nose. Recently the ColdFusion team has been making a big effort for those of us on the Atlantic side of the country. In February they wrapped up a three city tour dubbed Breakfast with ColdFusion. We were lucky to catch them in Orlando. 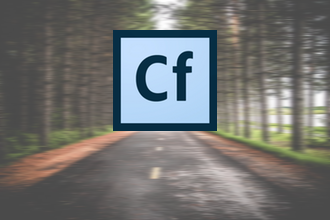 Attendees were treated to a presentation of the CF roadmap, discussion of new features in ColdFusion 2016, and an introduction of the new ColdFusion API Manager while we all munched on eggs and fruit. Good stuff. Perhaps the bigger news is their announcement of the second annual ColdFusion Government Summit in Washington D.C. on April 18-19. The free event will be geared towards federal employees and contractors and feature 2 tracks plus a full day of labs. Given the deep penetration of ColdFusion within the federal government we are happy to see this conference continued. Registration is open, so go check it out. 2017 is shaping up great for ColdFusion aficionados like ourselves. Make sure you get out to an event!